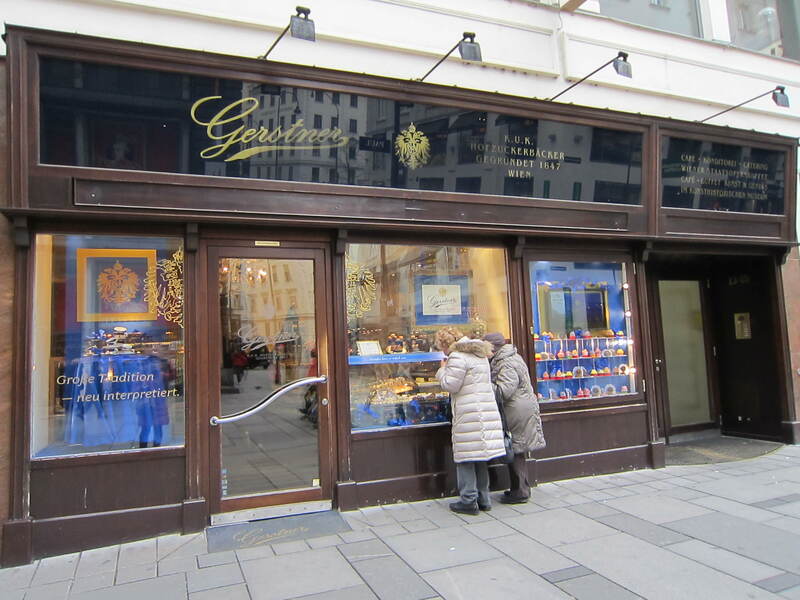 Gerstner’s is a famous pastry shop here in Vienna and, therefore, can be a touristy place. 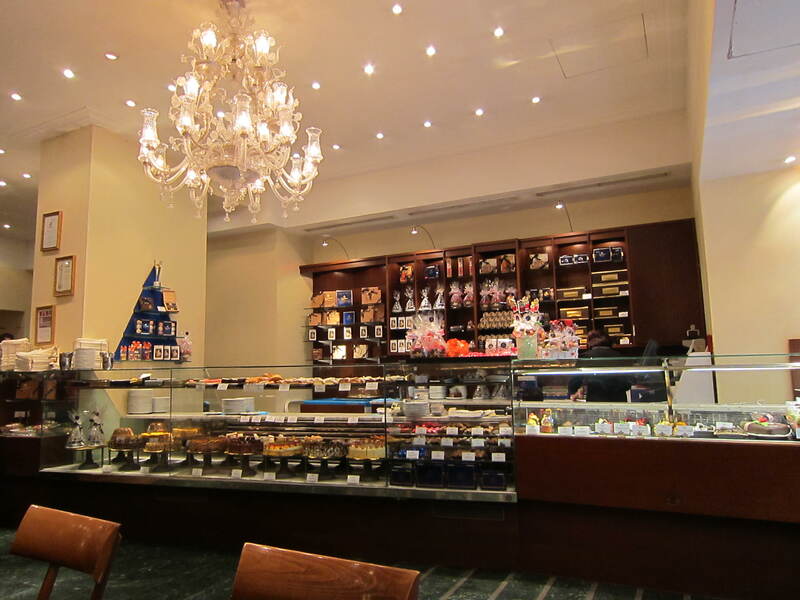 It’s no surprise, since it’s situated between St Stephens Church and State Opera House. This bakery opened its doors in 1847 and has quite a bit of history behind it. 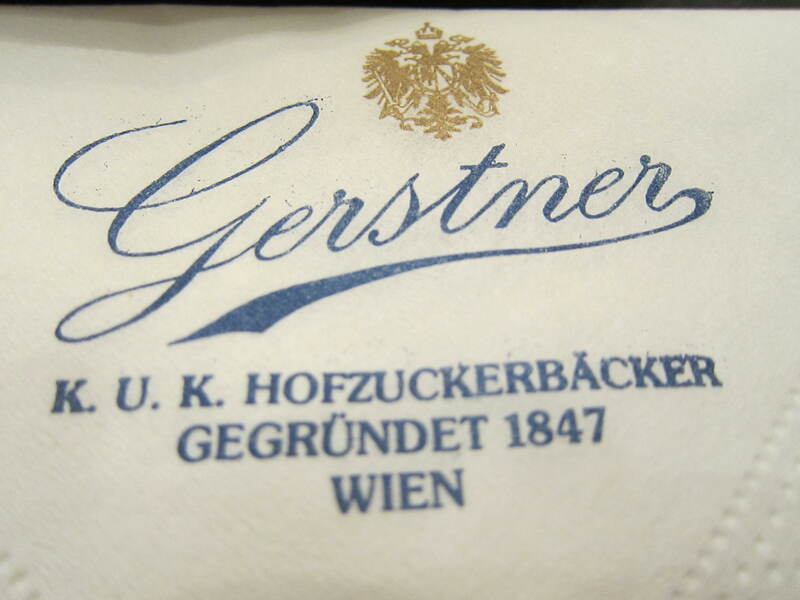 At one point or another, it catered to the Austrian royal family and other events for dignitaries. 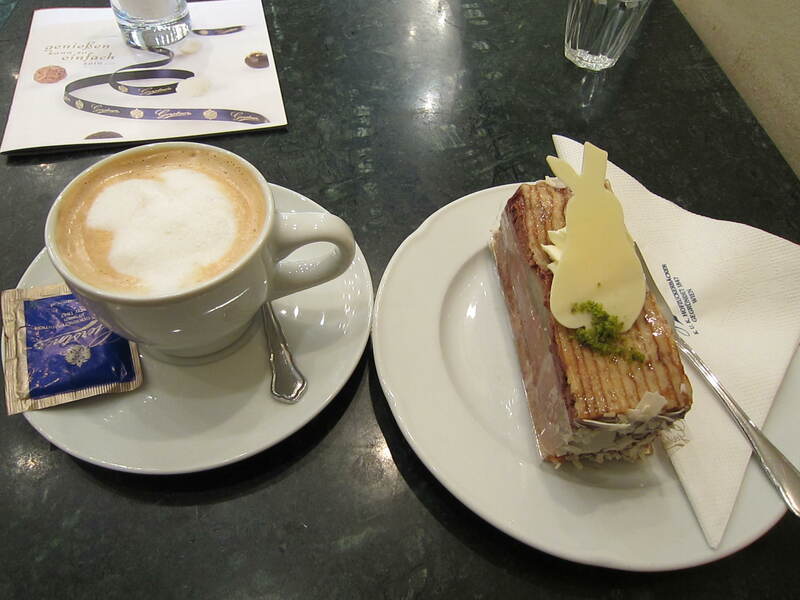 In my opinion, their cakes are better than the other popular touristy places such as Demel and Cafe Central. I ordered a slice of “Birnen Schoko-Mousse” (Pear Chocolate Mousse), because I was curious about the flavor pairing. I know most people have an aversion to fruit and chocolate mixed together, but this concoction was quite delicious. It had the right amount of mousse and fruit, plus a nutty flavor too. It paired well with my usual melange. This is a great place for people watching, but there were too many distractions for me to get into my book. An American couple sat next to me and I couldn’t help but eavesdrop on their conversation about how many boxes of chocolates they needed to buy for family and friends. 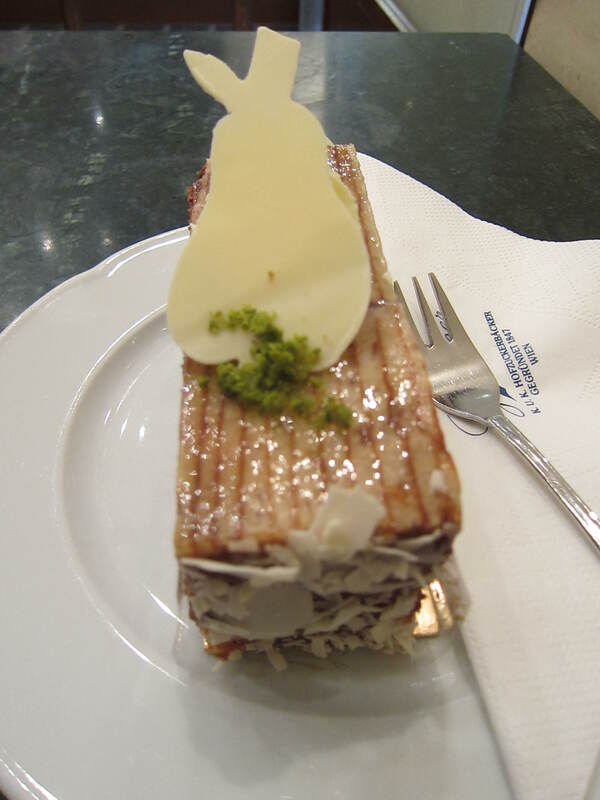 The lady couldn’t stop raving about the sour cherry strudel, so that will be on my list for next time. I’m curious about the cost of something like this over there. I figure if 2 of us go to Starbucks, and both get cappuccinos and pastry, we’d pay >$10. What does it look like to get something of higher quality and deliciousness, even though they seem to be on every corner?